It seems like 48-volt electric systems and electric compressors are becoming relatively mainstream, and Audi will be adding another vehicle powered by this emerging technology in 2017, according to comments Audi powertrain chief Oliver Hoffman made to Autocar. Hoffman said the upcoming SQ5, probably a 2018-model-year vehicle, will use a version of the electric compressor technology that debuted on the SQ7. While the SQ7 uses two gas-driven turbochargers and one electric compressor, the SQ5 will likely only use one conventional turbo and one e-compressor. That should allow it to make 365 hp, but 390 hp is possible from the system and may hint at room for a more powerful SQ5 Plus down the road. 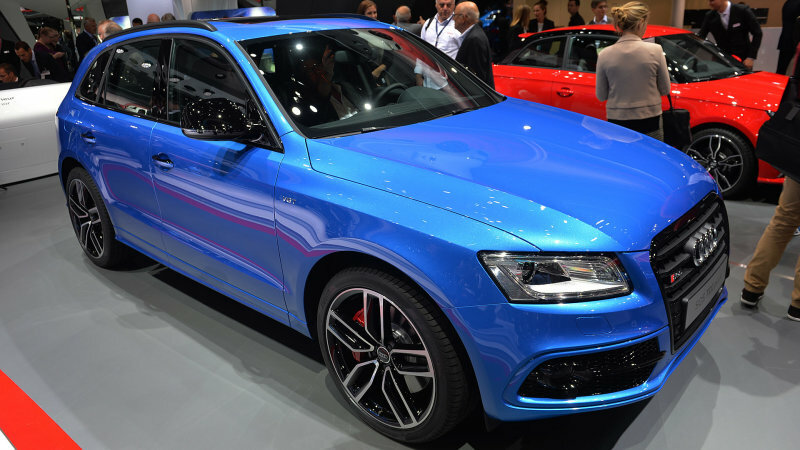 Remember, the European SQ5 uses a 3.0-liter TDI engine, and that's the same basic engine that will power the new SQ5 with the addition of the new forced induction system and 48-volt electrics. And also remember that the US-market SQ5 uses a supercharged 3.0-liter gasoline engine, not the TDI unit, which is one of the reasons it's still on sale in the wake of the TDI scandal. Torque is the real differentiator: the current US-market SQ5 makes 354 hp and 347 lb-ft of torque, while the current Euro-market SQ5 Plus makes a massive 516 lb-ft. No word yet on how the dual-compressor system on the upcoming SQ5 will affect torque numbers, but expect the new engine to again have considerably more twist than its gas-powered US-market counterpart.